If you are trying to figure out if you can tow whatever it is you are trying to tow. 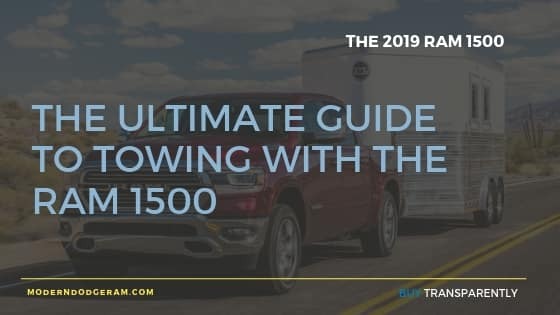 It can be a little confusing because all these facts and figures get thrown around by the truck manufacturers, with an asterisk, and a disclaimer about which package you need to add on to which model. And all you want to know is can you tow your trailer, or boat, or work equipment. It seems like you can’t get a straight answer because you’ve probably heard something like “ONE trillion pounds….but….” Or, “when equipped with” OR, “well it depends on the cab and the size of the bed”. All these things are true, (aside from the one trillion pounds part that was an over statement), but you still don’t feel like you can confidently tow what you need to tow. You need to know your total weight. Knowing your Gross Combined Vehicle Weight (GCVW) will give you an idea of how much capability you’ll need. 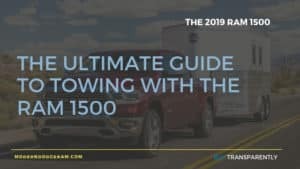 Let’s talk about some of the features that affect towing capacity and the GCVW first. The Quad Cab seats up to six passengers for a good balance of passenger comfort and greater towing/payload capacity. The 2019 Crew Cab is longer than earlier models and still seats up to six passengers comfortably, while providing even more room for storage, passenger room, reclining seats and more. Because it focuses more on passengers, this Crew Cab may increase your truck’s curb weight. Box length is about more than just how much cargo you can fit. It also affects how much your truck can tow and haul. Knowing how you’re going to use your truck is key when choosing a box length. 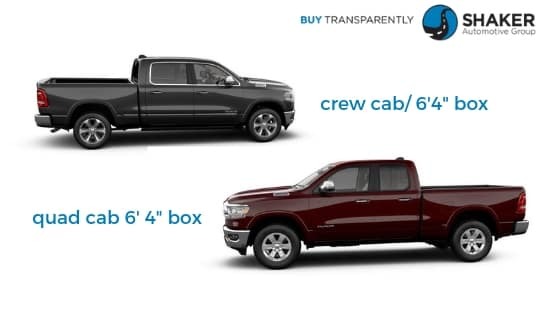 A truck with a shorter box length generally has a lower curb weight, which translates to slightly higher towing capability. The 6-foot 4-inch box is the perfect compromise between maximum towing and maximum payload capability. The bigger the box, the bigger the cargo. With an 8-foot box, you’ll be able to handle payload with greater volume and greater mass. With an automatic transmission, the vehicle automatically shifts gears as needed. However, all Ram trucks and pickup-based chassis cabs include Electronic Range Select (ERS) with all automatic transmissions. ERS allows the driver to limit the highest available gear. It can be activated during any driving condition. When towing a trailer, using ERS shift control will help you maximize both performance and engine braking. A two-wheel-drive vehicle sends power to only two of the four wheels. On a pickup that typically means the rear wheels, making it a rear-wheel-drive vehicle. The curb weight of a 4×2 vehicle is generally lighter than a comparable 4×4 vehicle, which translates to slightly higher towing and payload capabilities. A four-wheel-drive vehicle sends power to all four wheels. Generally, 4×4 vehicles are slightly heavier than 4×2 vehicles and offer greater control while driving on slick or uneven surfaces. Finding your ideal axle ratio will be a compromise. In general, a higher axle ratio offers more towing power and quicker acceleration, while a lower axle ratio offers better engine efficiency and quieter vehicle operation. Ram trucks come in a variety of axle ratios. Find the balance of power and efficiency that works best for you. And to wrap most of it up…. What does all that weigh, usually? Yea, good question because I would have guessed all of these wrong. So here is just an average idea of what things weigh that are commonly towed, just to give you an idea.